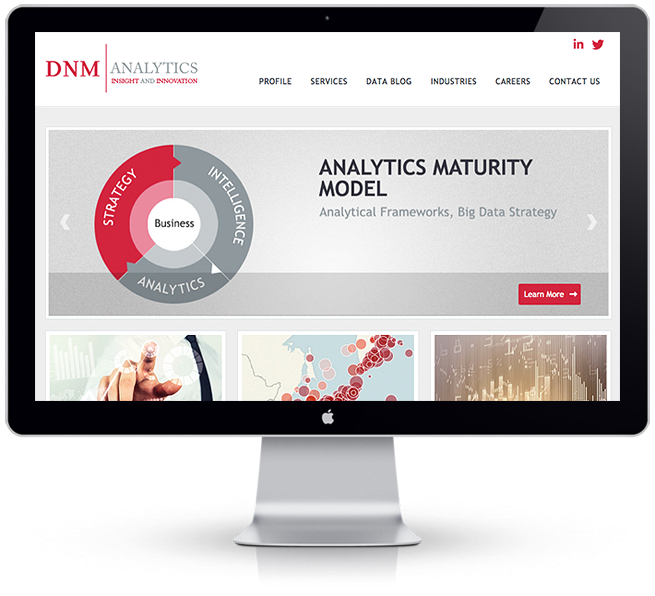 DNM Analytics is a consultancy delivering solutions in business intelligence, analytics and data services. They wanted a clean corporate look, with an editable backend so their marketing team would be able to edit and add content with ease. We worked with a colour palette focussing mainly on reds and dark and light greys to reflect their identity. We also devised a very user-friendly and intuitive navigational structure that brings the client on a journey through their various services. The site is fully responsive across all devices, ios and Android.